Music for Maniacs: A Miserable, Depressing Album About Divorce - Happy Valentine's Day! 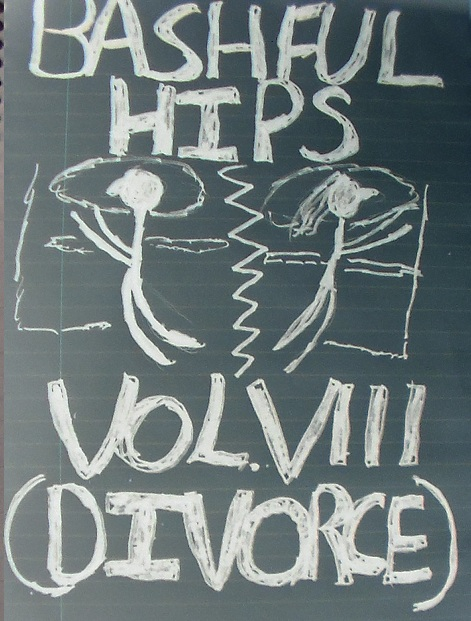 A Miserable, Depressing Album About Divorce - Happy Valentine's Day! 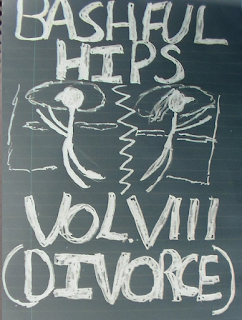 Bashful Hips is a solo electro band from Colorado whose free download album "Divorce" consists of song after sound-alike song of mid-tempo slightly-distorted synth tunes, all sung in a woeful one-note drone. Tho there's some nice musical touches here and there, e.g. the popping percussion on "Color Me Blue," I can't really say it's a genuinely good album - the songwriting seems more like diary entries than lyrics, with scant attention paid to things like rhythm or rhymes. But it certainly seems heartfelt, packed as it is with excruciating details like "mornings are now so confusing/now that I don't get to awake to the sound of your hair dryer." Over the course of a whole album, tho, it almost becomes comical. The one-note singing makes the album seem like one long song. Strangely compelling.